What happened in the house that Jack built? It all started with the cheese that lay in the house that Jack built. And then came the rat that ate the cheese and the cat who killed the rat. 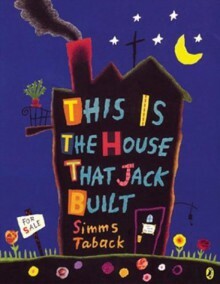 Caldecott Medal?winning author and illustrator Simms Taback brings his distinctive humor and creativity to the beloved story of Jack and the house that he built.